Jennifer and Kenny moved to California and they came back to Boston for their prewedding photo shoot as well as their wedding. 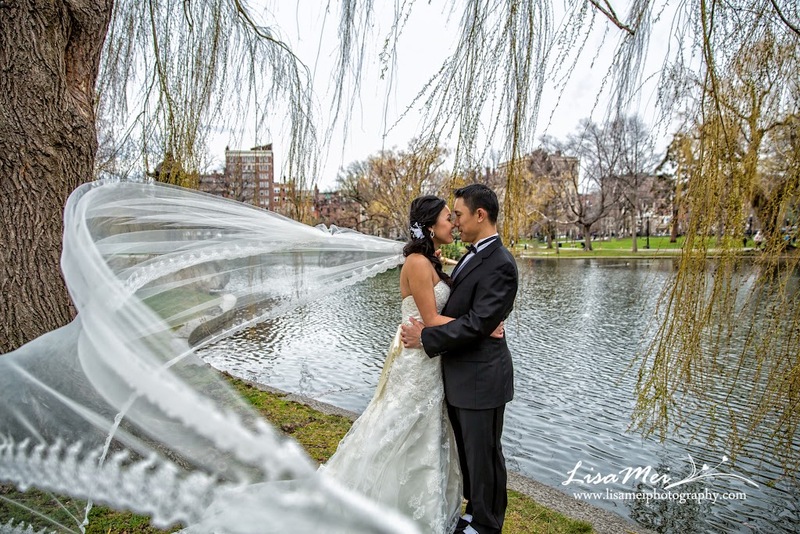 They wanted photos that resembled Boston as much as possible so we picked out some iconic Boston locations. 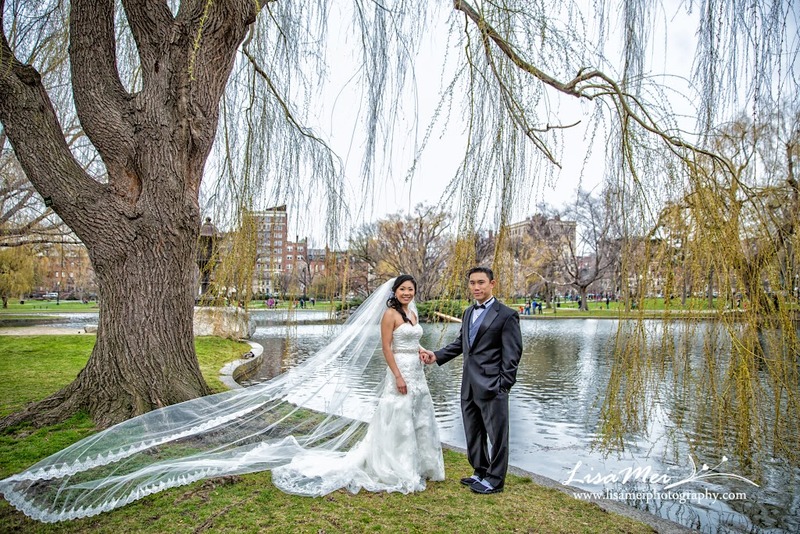 We started at 3 pm to the Boston Public Gardens…..unfortunately spring has delayed this year so it was actually very cold! Jennifer looked absolutely amazing in her beautiful wedding dress braving the cold for the photo shoot! ! Kenny had such luck finding parking spots everywhere we went. Next, we headed to the cobblestone street, not much people know its formal name – Acorn St. 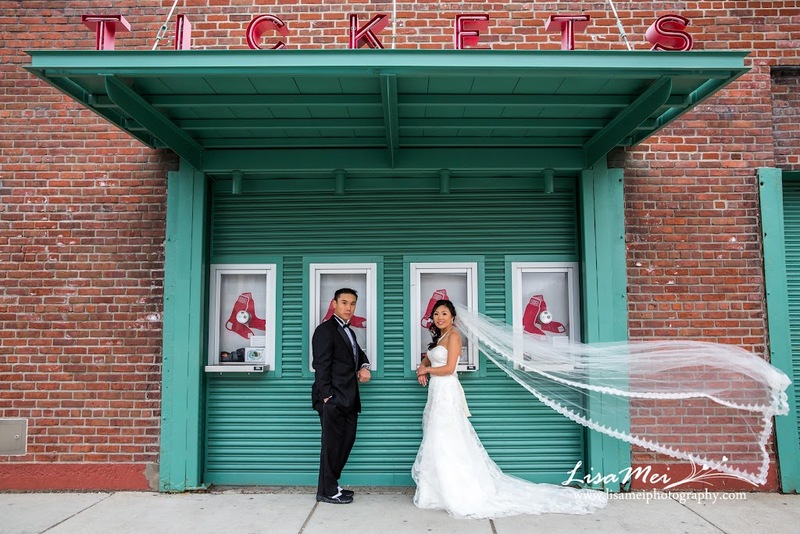 This was our first time photo shooting at that area and it was perfect – the colonial red brick houses and many uniquely decorated shops as backdrops. Then, we headed to Fenway Park (Kenny’s favorite)! 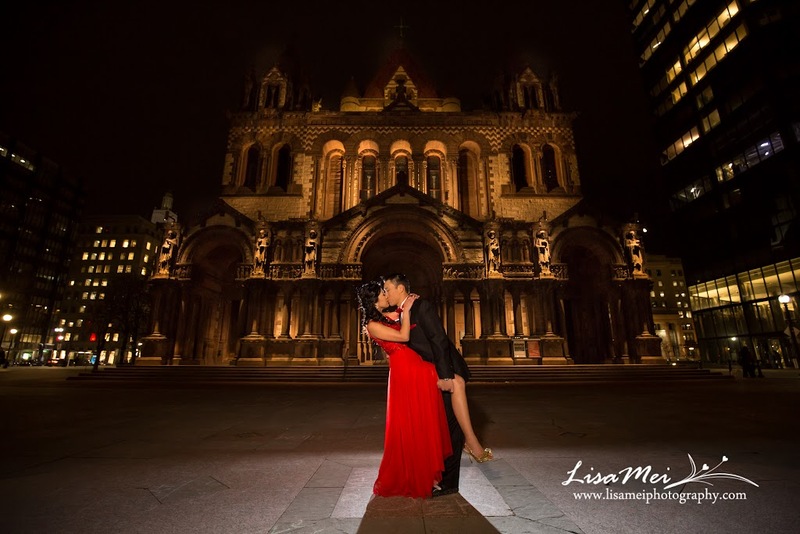 Lastly, Jennifer changed into her red dress that really stood out for night portraits at Copley Square. 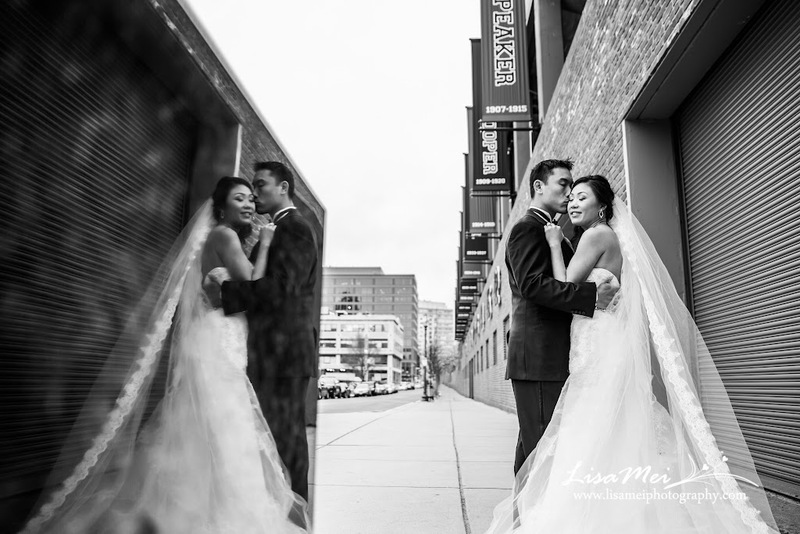 We were crazy enough to go around Boston photo shooting for 7 hours but it was so much fun despite the freezing cold!! !